This archive holds all posts from December 2016. Another year is coming to a close. Hopefully everyone of you has accomplished the professional and personal goals you had for the year. This issue contains articles with a focus on news from the industry in various countries worldwide rather than articles with a NYCT area focus. The Gotham hopes all our members find these articles informative and maybe gives members the inspiration to read other newsletters from other associations to gain a larger perspective on our industry. The article on the advertising /publicity campaign in Quebec is quite interesting. Getting the word out about our profession really does make a difference. This is also the time of year when we not only prepare for the holidays with family and friends (the fun part) but also when we prepare for the start of a New Year. This includes making sure bills, receipts, etc. are all in order (not as fun). Please make sure to update your memberships with the NYCT and other organizations to which you belong. The Circle is having an election for new Board Members please remember to vote when you receive the voting materials. May you all have a joy filled holiday season and a prosperous New Year!! WHERE CAN LANGUAGE TAKE YOU? Gone are the days when translation used to be practiced as an art by a selected number of intellectuals who used to enjoy literature, and by translating classics they used to offer literary cannons in their local language by giving second life to the original author’s work through translation. In last 30 years, the demand for translation and language related services has increased exponentially, and translation has evolved into a full-fledged profession that requires specialized training and professional orientation. Translation is not only needed for the promotion of literature and cross cultural activities, it has become an essential tool for keeping pace with the globalization phenomenon which is inseparable from technology and localization processes. In recent years, localization has progressed from being an added effort by some software publishers to a multi-billion-dollar professional industry. Translation that forms inherent part of localization, globalization, language engineering and software internationalization processes has become key element of international marketing. In many cases, translation and localization has proven to be the key factor for international product acceptance and success at local level. These developments have added unprecedented dynamism in economic, social and cultural activities across the globe. India, being one of the major players, has undergone revolutionary changes within its economic, social and cultural systems giving way to Informational Technology and Business Process Outsourcing. The steady economic growth and reforms have helped Indian economy attract record inflow of Foreign Direct Investment and joint ventures creating a high demand for language consumption in local languages as well as foreign languages. With growth of knowledge based activities, Indian job market has high demand for trained professional translators. IT revolution and popular use of web2.0 technologies worldwide have further increased manifold the employment opportunities for translators. The steady growth story of India has made it one of the well sought destinations for multinationals who plan to enter Indian market in a big way. So, in terms of scope of jobs, translation as a vocation is on all time-high specially for Hindi and Indian language speakers. 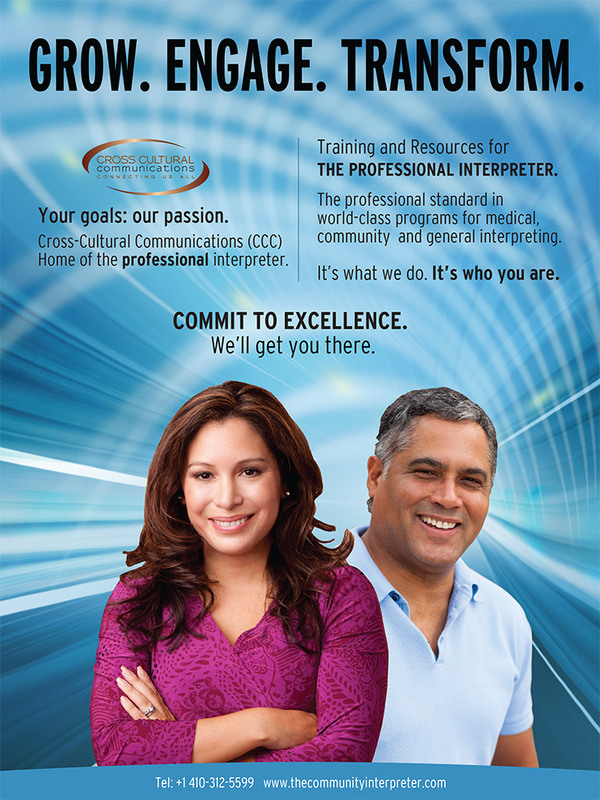 Translation and interpreting are highly skilled professions. What will it take to ensure that linguists have the education and working conditions they need? There are many ways that we can work together to improve the quality of our work and the conditions we work under. Gatherings of translators and interpreters to dialogue about raising standards are a necessary first step. But of course the effort has to go further. It goes without saying that there are many of us who do extraordinary work as translators and/or interpreters. Yet this also is because our work is so demanding. It couldn’t be any other way. Reliable performance of our duties presupposes extraordinary ability as well as very thorough training and experience. On occasion, some of my veteran court interpreter colleagues have said to me that our job is easy. Perhaps they have forgotten about their initial years in court; that the learning curve in the beginning is steep and long. That learning the art of translating idioms is a long study. They may have forgotten about their initial stage fright when they began to interpret in the court environment, which is extremely intimidating to newcomers. Or perhaps they’ve forgotten about their first encounters with the byzantine legal terminology of their particular jurisdiction. It shouldn’t be surprising that it’s a tough task to come up to speed as a translator or interpreter. The skills and knowledge involved are myriad. You must be able to identify and avoid translation pitfalls such as “false friends.” This is something many foreign-language learners never get. But beyond getting it, it is a topic that requires in-depth and ongoing study. Idiomatic translation goes beyond fluency in two languages. It requires fluency in the ideas behind the words in both languages. This entails years of study of language, translation, and the subject matter in question. As translators, but especially as interpreters, we have to have a translation for everything that can be said. I have been reading English for my entire life. Yet I think that every week I encounter words in my English reading that I do not recall having seen before. Add to that a foreign language and specialized terminology and you have a task whose enormity cannot be overstated. There are different aspects of translation that require many years of refinement, most notably writing in the target language. There are also many aspects of interpreting, such as note-taking for consecutive or décalage for simultaneous; or, as in my particular work environment, managing your voice level and the acoustics of the courtroom. All these are skills of a very high level that realistically take many years to master. As Dr. Miguel A. Jiménez-Crespo cogently sets forth in his paper, “Expertise studies and the recognition of the professions of translation and interpreting in the USA,” if you are serious about the profession, you will continually practice and study to hone your skills. When I started interpreting in court, I had to immerse myself in a plethora of vocabulary and terminology. Of course there were court terms, like a criminal as opposed to a civil complaint, disorderly conduct, or an order to show cause. But there is also a larger orbit of terms that can come up in court. For instance, when I started, I wasn’t sure how to translate “irregular heartbeat,” “nail-polish remover,” or “syringe” into Spanish. Of course, you may have excellent all-a-round vocabulary in your working languages. Yet in reality you are dealing with two linguistic worlds. Your experience living in one language culture is not always the mirror image of the other and, thus, the terms in one language do not always neatly correspond to those in the other. Finding all the appropriate equivalents requires ongoing study and research. This effort will probably bring you up to speed more quickly on the court argot than the larger orbit of general terms that can come up on occasion in court. There are a few translation and interpreting programs, and we could certainly use more. Other high-level professionals, such as lawyers and doctors, require multiple years of prior specialized training. That seems only logical for translators and interpreters. Yet much like one would expect that a physician or attorney would need years of experience after their training to adequately come up to speed, it only makes sense that we expect the same from translators and interpreters and that continuing education is a must. I would argue that translators and interpreters require even more continuing education since the subject matter and environment that translators and interpreters end up dealing with could be virtually anything under the sun. In other words: the more training the better. And training means resources, financial resources. No doubt, there are translators and interpreters from the richest 1% of the population. For them, of course, tuitions are not an issue. Yet for most of us, some type of subsidy of our education is necessary. It could be in the form of lower tuition subsidized by the government, or scholarships, grants, and loans. If loans are a significant component, as they currently are, higher salaries for translators and interpreters are imperative—notwithstanding the fact that we are entitled to a living wage anyway. I do not think it is odd to advocate for government subsidy of our industry. If there are more prosperous translators and interpreters, there is more money in the economy. If the government can subsidize banks and oil companies, it can subsidize the T&I industry. The government is already in the business of subsidizing universities and it subsidizes banks to issue student loans. But beyond the money, we are rendering a service—often a public service. We are creating greater prosperity. After all, if the economy’s purpose is not to create prosperity, then what is it? What I am proposing now is essentially an exchange of information. We can educate our clients, the government, and the general public about our work so that they fully appreciate what it entails. This will likely facilitate conditions that enable us to perform our work better. It will also facilitate our getting better remuneration and training. We should also involve our clients in educating us so that we can serve them better. What better way for financial translators to improve their rendering of service than a workshop put on by their banker clients on financial terms? Getting back to the example of seasoned court interpreters: your job may be a breeze for you 95% of the time. You usually know what the judge and the attorneys are going to say before they open their mouths. But then there are occasions where a rare procedural issue comes up on the record, and a quick-paced back and forth between the judge and lawyers occurs. If you continually educate yourself further, situations such as this will be more manageable, especially if you have had the benefit of instruction by legal experts who thoroughly explain to you the intricacies of your branch of law. We can also exchange information with each other as colleagues in fora such as the symposium and through professional organizations such as the New York Circle of Translators, the American Translators Association, the National Association of Judiciary Interpreters and Translators, the Association of Language Interpreters of Greater New York, and the International Medical Interpreters Association. We can open discussions with colleagues about vocabulary and exchange glossaries. Leonard Morin is a staff Spanish interpreter at Manhattan Criminal Court. He previously practiced as a translator (from 2004) and interpreter (from 2006). Leonard interprets Spanish and Dutch and translates chiefly legal and cartography-related documents from Dutch, Spanish, and German into English. He earned a propedeuse degree in Law in the Netherlands and graduated from Columbia University with a B.A. in Latin American Studies. Leonard has earned translation and interpreting certificates and won academic prizes for his Spanish and German. He is a past president of the New York Circle of Translators. The organisation of a strikingly successful publicity campaign despite a very limited budget: this was the ambitious gamble taken by the Quebec Translators’ Terminologists’ and Interpreters’ Society OTTIAQ (Ordre des Traducteurs, Terminologues et Interprètes Agréés du Québec) last spring. And in view of the excitement that followed it, the society gambled and won. After more than 15 years of silence on the promotional front, the Society wanted to build up its reputation so as to encourage public and private sector organisations to make use of its members. So a task force was created to oversee a publicity campaign (1) and Réservoir agency was enlisted to assist in putting a win-ning strategy in place. How to accomplish this with a budget of only $500,000 over two years, when the annual spend on advertising in Quebec was 2.7 million dollars? In order to over-come this obstacle the Society chose to concentrate on only one of the professions that it encompasses (certified translators), on only one public target (businesses in the Montréal city centre) and on one medium – billboards. So from 7 March to 1 April the business quarter in the heart of Montréal was bombarded with eloquent messages extolling the advantages of investing in the services of an accredited translator: “it translates into productivity”; it translates into benefits”; “it translates into results”; it translates into confidence”. These messages, signed by “Accredited translators of Quebec”, were displayed on to 40 dig¬ital columns, 9 street columns, 2 large format panels, 30 bus shelters and 18 megacolumns. A concentrated impact over one square kilometre. The effect was immediate: the media answered the call, especially Les Affairs, In-opresse and Yahoo the advertisement even featured in the awards of the five infos most read on Infopresse that week. The buzz also crossed the Atlantic and earned Réal Paquette, the society’s president, an invitation to present the campaign to the General Meeting of Swiss Translators, Ter¬minologists and Interpreters. The advertising drive also produced excellent results for OTTIAQ members – they who financed it with a special levy. The day of the launch, members were emailed with a presentation of the campaign. They were also encouraged to download email signatures and posters sporting one of four slogans. This has been adopted enthusiastically. In so doing they have embraced a campaign which speaks of their professionalism and they have disseminated it with pride throughout their networks. The success of this campaign augers well for the next steps. The OTTIAQ task force and Reservoir agency are already pre¬paring the second stage, which will be rolled out in 2017. Stay tuned. The new Regulation (EU) 2016/1191 of the European Parliament and of the Council of 6 July 2016 on promoting the free movement of citizens by simplifying the requirements for presenting certain public documents in the European Union and amending Regulation (EU) No 1024/2012 entered into force on 15 August 2016. Member States are required to adopt all necessary measures for the application of the Regulation two years and a half from that date (i.e. by the end of 2018, beginning of 2019). The thinking behind the Regulation is that since ‘the formalities of legalisation, Apostille, certified copies and certified translations are outdated and disproportionate mechanisms to establish the authenticity of public documents’, a horizontal approach is needed in order to simplify the circulation of such European public documents between Member States and to reduce the bureaucracy hindering intra-EU mobility, currently affecting some thirteen million EU citizens. The Regulation provides that translation of public documents from another Member State might not be required if the public documents are (a) in one of the official languages of the Member State where they are presented, or (b) in another non-official language accepted by this country. The Regulation also establishes multilingual standard forms to be attached to specific categories of public documents concerning birth, a person being alive, death, marriage (including capacity to marry and marital status), registered partnership (including capacity to enter into a registered partnership and registered partnership status), domicile and/ or residence, and absence of a criminal record. These multilingual standard forms should reflect the content of such public documents and should be used as a translation aid, thus eliminating to a certain extent (though not fully) the need for a translation. It must be stressed that acceptance is subject to whether the authority to which the public document is presented considers that the information included in the multilingual standard form is sufficient for processing the public document. The Regulation recognises that for a number of public documents where the content may not be properly reflected in a multilingual standard form (such as certain categories of court decisions), the objective of eliminating the need for translation will not be reasonably achievable. Most importantly, for the first time it is stipulated that a certified translation carried out by a person qualified to do so under the law of one Member State should be accepted in all Member States. To help achieve this aim, Member States should, by 16 August 2018, communicate, among other things, the lists of persons qualified, in accordance with national law, to carry out certified translations (where such lists exist) as well as information relating to the means by which certified translations can be identified. The Regulation gives leeway for the authority to which the public document is the information included in the multilingual standard form is sufficient for the purpose of processing that public document, even though a person who presents a public document accompanied by a multilingual standard form should not be required, in theory, to produce a translation. This means that the authority may exceptionally require that this person also submits a translation or a transliteration of the content of the form. While this may seemingly contradict the aim of reducing legal uncertainty, costs and lengthy procedures, it is partly compensated by the obligation imposed on Member States to communicate to the Commission the public documents to which multilingual standard forms can be attached as a suitable translation aid, along with the languages accepted (official and non-official) and the lists of acceptable certified translation providers, with a view to making the information available to the public through the European e-Justice Portal. The repercussions on actual translation volumes, working methods, quality, confidentiality and security are yet to be assessed. However, the financial repercussions for translators offering official/ certified/accredited/sworn translations, who work as freelancers or external government contractors, have been estimated and are going to be considerable. The quantitative results published in the European Commission’s relevant Impact Study (CoNE 5/2013) estimate the volume of certified translations to be around 1.6 million documents for 13 types of documents, averaging 3 pages; at an approximate cost per page of 30 euros, the estimated annual cost is 100- 200 million euros. a) Interested national translation associations should approach the relevant authorities, via the local EC field officer if necessary, to ensure inclusion in the registries of qualified persons, in accordance with national law, to carry out certified translations, thus addressing in due time any issues that might arise before the cut-off date of 16 August 2018.
b) Considering that translators offering exclusively certified translation services may tend to lack certain translation technology skills, market knowledge and marketing skills, associations should investigate whether their business has been affected and determine how to help them re-orient their services via targeted re-training over the next couple of years. c) Considering the requirement that certified translations carried out by qualified persons under the law of a Member State should be accepted in all Member States, and in view of the multitude of current systems in existence or lack thereof throughout the EU Member States, European associations should lobby for the mutual recognition or even harmonization of official translation systems, given that mere publication on the e-Justice Portal may not offer legal security to public servants dealing with in-scope documents, thus resulting inevitably in the haphazard rejection of official translations between countries. Such rejections may have a negative impact on the credibility and reputation of professionals in this line of work. Moving towards the harmonization and mutual recognition of EU certified translation systems ensures a stable and protective working environment for translators as well as administrative certainty for authorities. Stories from different parts of the globe about our industry. In our own language – First Dubai Translation Conference promises something for everyone, as translation impacts everyone’s lives. Dubai: Some of the best-selling books in the world have been translated into many languages, and while we know who the authors of these books are, we rarely know the translators that made it possible for you to experience the book although it was not originally written in a language you understand. To shed more light on the challenges and nuances of translation, the Emirates Literature Foundation, in partnership with the Dubai Executive Council, will be hosting the first Dubai Translation Conference between October 20 and 22. Isobel Abulhoul, OBE, CEO and trustee of the Emirates Literature Foundation and director of the Emirates Airline Festival of Literature, told Gulf News about why people should come to the conference. The event celebrates the ideals of the National Reading Policy, launched in the United Arab Emirates in 2016, and is another step towards enriching the body of literature in Arabic Language, promoting the creative content of Arab writers to non-Arabic speakers and promoting a reading culture within the Arab world. Isobel said translation in literature is a key interest for her, “the ability for a translator to allow us into a different world via a different language, by doing a seamless job of capturing literature in translation.” “The translator is invisible to most of us, we know the authors, but we never really give any attention or thanks to the person who brings this literature to us in a different language,” she said. On November 18/19, 2016, the European Parliament’s TermCoord hosted the 45th meeting of the Council for German-Language Terminology (www.radt.org). The RaDT was created in 1994 on the initiative of the German, Austrian and Swiss UNESCO Commissions to promote terminology in German-speaking countries. It consists of a panel of experts who represent organizations, associations, administrative bodies, business and industry, and educational institutions in the field of terminology from Germany, Austria, Luxembourg, Belgium, South Tyrol and Switzerland. The RaDT’s meetings take place twice a year, on a rotation basis, in each of the represented countries. In fall 2016, it was Luxembourg’s turn, and the participants were happy to accept the invitation to hold the meeting at the European Parliament, which has been a member of the RaDT since 2013, when TermCoord was invited to join. During this meeting, the members talked about the relations between terminology and artificial intelligence, finalized the latest brochure, and discussed about the terminologists’ profile, their recruitment and the means of enhancing awareness for terminology and terminologists. Please welcome the new NYCT members.